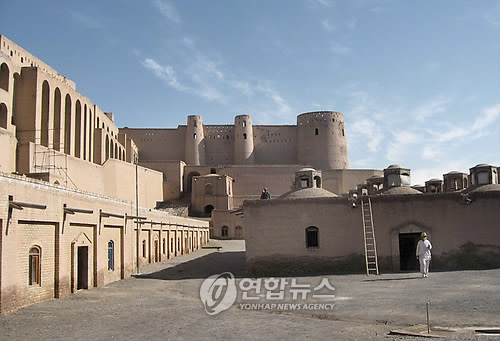 CAN BE HERAT AN INTERCULTURAL CENTRE? Herat, during the past summer (2009), was the place where 12 persons died, ambushed by the Talibans. The NATO, through the General Secretary Rasmussen, announced, in August 2009, the creation of an “Experts Counsel”, in order to plan the missions abroad. By the way, today, what is about to constitute in Herat an intercultural centre? This will be a project to realize with various European and American Universities (even the Russian one, due to the recent visit, the 16th December 2009, of Rasmussen in Moscow). It can be a kind of laboratory to promote exchanging ideas between experts and collect documents about migrations. Modern society calls everybody to establish relations of cooperation and find useful resources in order to act and do the projects of integration. In the meantime, Sunnis and Shiites are continuously migrating towards Herat, due to its economical increase and by influence of the near Islamic Republic of Iran. The town is in the strategic point along the commercial way among India, China, Middle East and Europe. Nowadays also, the streets of Herat towards Iran, Turkmenistan, Mazar-el-Sharif and Kandahar are strategically important. All that is helping the knowledge of problematics and, may be, it is the right way to resolutions of Middle East’s matter. I think that can be useful to control better Iranian Nuclear Dossier, and to try to go on with “peace plan” between Israelians and Palestinians, may be to take again the report between Teheran and Washington, stopped 30 years ago. We know that there are interests of every country, even those fighting Iran. Germany asked further exchanging, Turkey asks for more openings for licenses of Iranian gas natural fields, the same matter for China, for Iranian oil supply. In the meantime, India is going to sign a contract to build a gas pipeline. We hope that it will not change the equilibrium of different powers in the area. We have to think about..
Questo contenuto è stato inserito il Ottobre 26, 2010 ore 1:28 pm nelle categorie English. puoi seguire i commenti tramite RSS 2.0 feed. 4 commenti per CAN BE HERAT AN INTERCULTURAL CENTRE? well done, Marco! Nice idea. WASHINGTON, Oct. 27, 2010 – A partnered Afghan and coalition security force targeting the head of a Taliban district commission in Afghanistan’s Baghlan province killed multiple insurgents during an intelligence-driven overnight operation, military officials reported. The targeted man regularly meets with Taliban leadership in the area to plan upcoming attacks against Afghan and coalition forces, officials said. As the assault force approached a compound in Baghlan’s Dahanah-ye Ghori district, insurgents fired from multiple directions. The security force returned fire from the ground and air, killing several insurgents. The security force then cleared and secured the targeted compound before questioning residents and detaining a suspected insurgent for further questioning. Continuous enemy contact prevented the security force from conducting a full assessment after the operation, officials said. — An Afghan and coalition security force yesterday captured a Haqqani terrorist network facilitator responsible for moving supplies and bomb-making materials into Kabul province for distribution to foreign fighters and several Haqqani-affiliated networks in Khost province. Based on intelligence reports, the security force targeted a compound in the Shamul district to search for the facilitator and detained him, along with several of his associates. — In an overnight intelligence-driven operation in Zabul province’s Shah Joy district, a partnered force detained two suspected insurgents while pursuing a Taliban facilitator who builds, plants and detonates roadside bombs in Zabul province’s Qalat district. — International Security Assistance Force officials confirmed the Oct. 25 capture in Kandahar province of a Taliban leader known to build suicide-bomber vests. Intelligence reports led a security force to a compound in the province’s Kandahar district, where they detained the wanted man and an associate. — ISAF officials confirmed the death of Faruk, a Taliban leader Afghan and coalition forces had attempted to detain during an Oct. 24 operation to interdict narcotic smuggling in Helmand province’s Reg-e Khan Neshin district. Faruk was responsible for planning and executing numerous attacks against Afghan and ISAF forces, officials said. His proximity to Pakistan and ties to Taliban leaders there enabled him to move weapons and explosives into the area from Pakistan using narcotics as payment, they added. Multiple intelligence sources and tips from local residents led a combined force to a narcotics infiltration route where Faruk was known to operate. The partnered force spotted two armed insurgents on a motorcycle and tried to detain them, but they ditched their motorcycle and fled into dense undergrowth. The security force searched the area and killed an armed insurgent who fired on them. More than 60 pounds of chemicals used to process opium were found on the motorcycle. — An Afghan and coalition patrol discovered more than a half ton of homemade explosives in the Zharay district of Kandahar province yesterday. The patrol found 11 roadside bombs, each containing more than 100 pounds of explosives, which an explosive ordnance disposal team destroyed.